To find out what is done with the clothing that are thrown into the recycling bins, I visited a clothing depot of Humana in Assen in November. Humana, in the person of Sema, was very friendly and showed and explained me their working process. 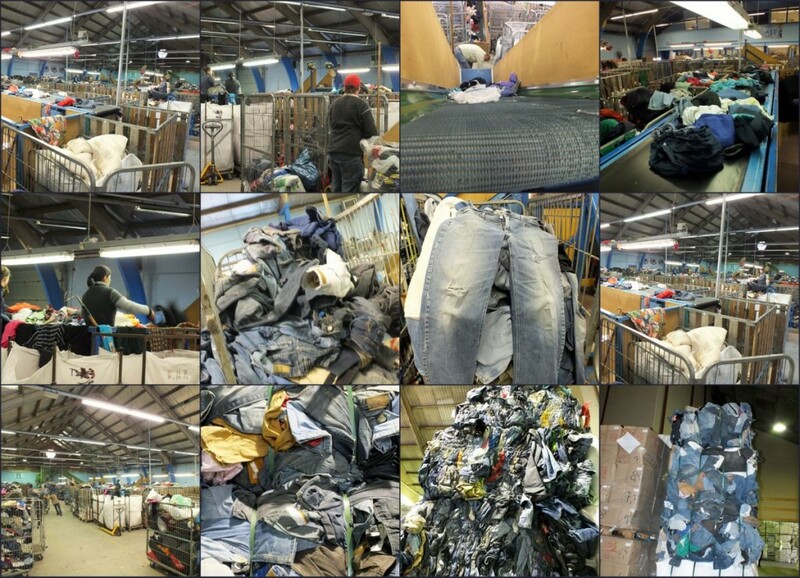 Day after day clothing is collected and finds it’s way to the sorting centre. People are throwing everything in the container; from clothing that is falling apart till completely new and even labelled products. Surprisingly, everything is welcome and can be re-used, what cannot be worn anymore will be recycled into other products like cleaning towels. The best clothing is sold to Eastern Europe countries. The lower quality summer clothing is popular in Africa. When I leave the depot, puzzled about the quantity and quality of clothing thrown away, but enriched with some pair of jeans for my project, I feel more then ever the urge to continue with DenimEconomics.